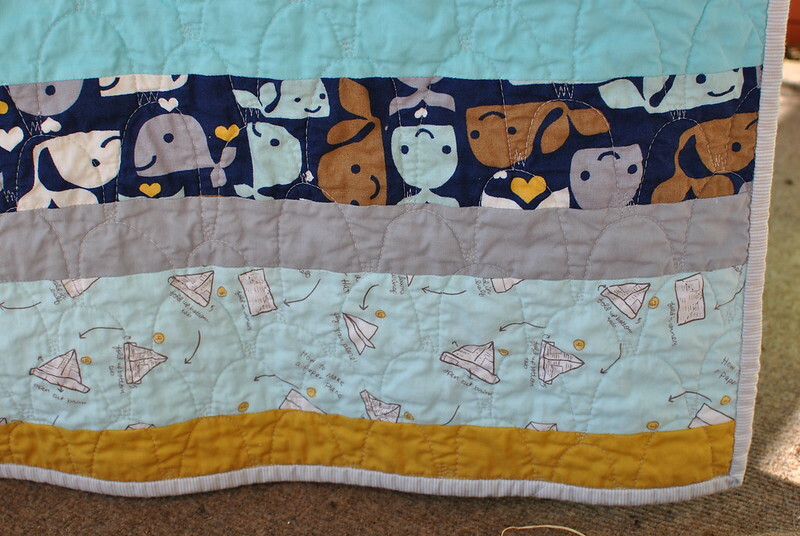 This silly little baby quilt sure has done some traveling lately! I sent it off to a friend in Seattle, but had a small error in the address. 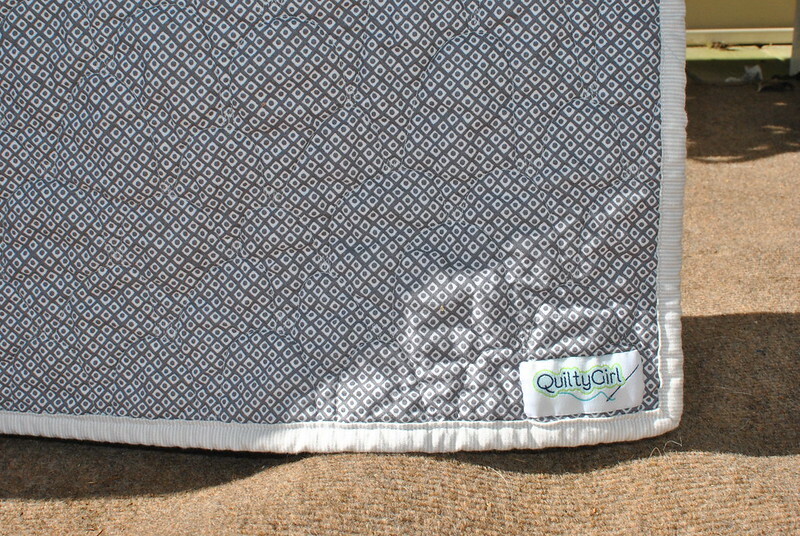 The quilt was sent back to me, at which point I corrected the address and sent it off again! The first time I sent it out would have been great timing, as it would have arrived the day before my friend had her baby. But a surprise package after the first few sleepless nights can be just as fun! During the same trip to JoAnn's when I found the whale fabric, I also picked up a copy of Angela Walters' AMAZING book, Free Motion Quilting With Angela Walters. 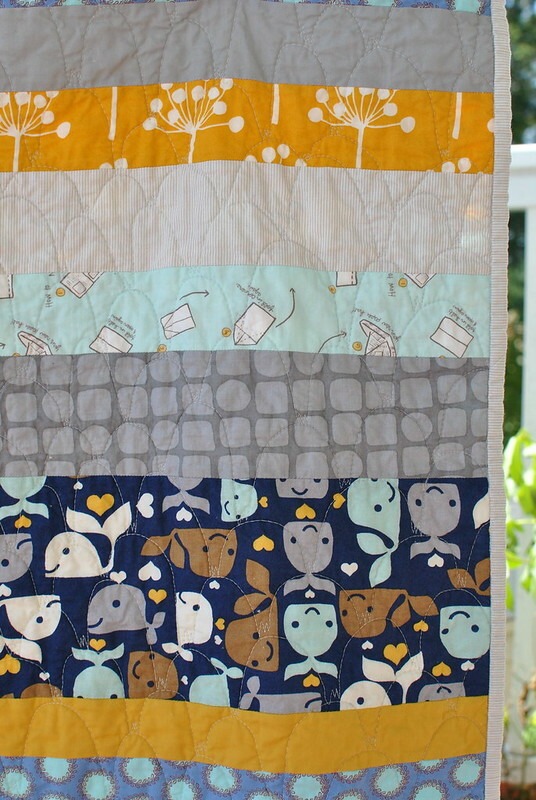 I love all of the designs that she shares, and I chose the modern clamshells for this quilt. Knowing that I wouldn't be able to keep the clamshells all the same size, I went a bit wonky with it. 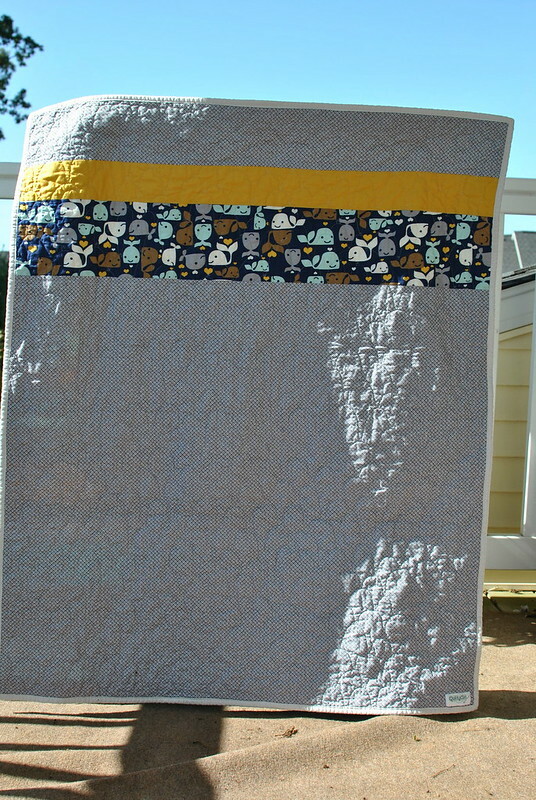 I really love how it turned out, and I can't wait to use this quilting style again! For the back I pieced some yardage from my stash. The binding is a light grey stripe from Sweetwater's Sunkissed line. 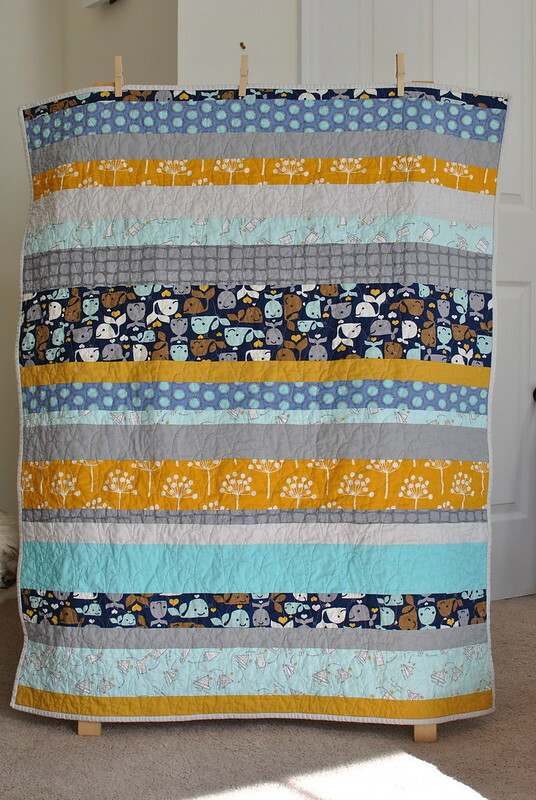 This turned out to be one of my favorite quilts - from the simple strips to the colors and the fun quilting! And my friend sent me a message as soon as she received the quilt to say that she loves it! If it feels a bit quiet around here, it's because I'm crazy busy with some sewing for my sister's wedding. I'm just about done with 2 flowergirl dresses, and then I move onto her wedding quilt! Unfortunately I won't be able to share any pics of it for a bit, because my sister reads my blog. ;) I should have a few wedding un-related things to share along the way, I hope!